i. 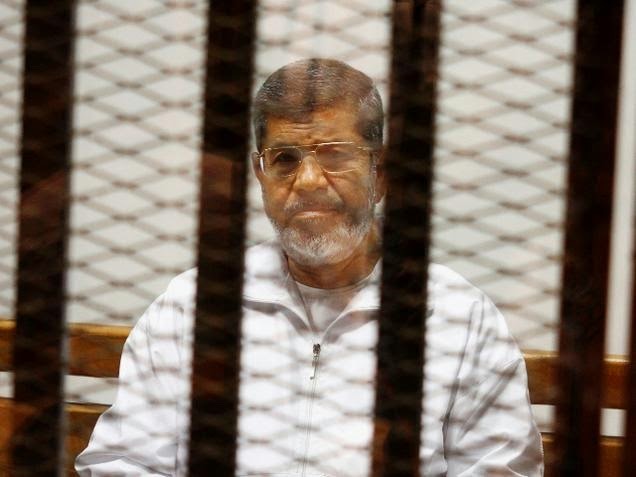 An Egyptian court has sentenced ousted President Mohammed Morsy to death. ii. 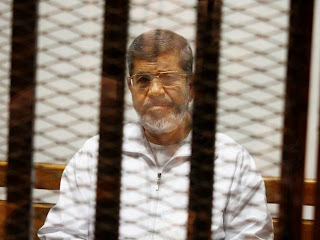 Judge Shaaban el-Shami referred his death sentence on Morsy and more than 20 others to the nation’s top Muslim theologian, or mufti, for his non-binding opinion. iii. The ousted leader already is serving a 20-year sentence following his conviction on April 21 on charges linked to the killing of protesters outside a Cairo presidential palace in December 2012.
i. Bharti Airtel has received financing commitments of up to USD 2.5 billion from China Development Bank and Industrial and Commercial Bank of China, with an average maturity of about nine years. ii. This is the single-largest bilateral commitment by China Development Bank to any telecom operator globally and the largest bilateral commitment to a private Indian company. iii. 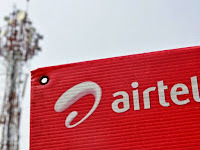 Bharti Airtel announced a strategic collaboration with China Mobile, under which the two companies will work towards growth of the Long-Term Evolution (LTE) ecosystem and evolving mobile technology standards. i. Arun Shrivastava assumed charge as Managing Director & CEO of Syndicate Bank. ii. 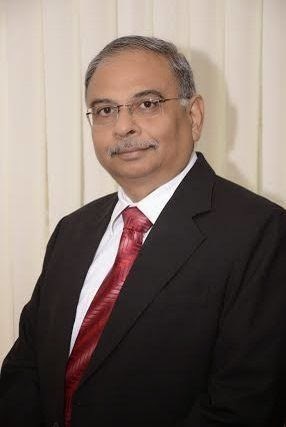 He was Executive Director of Bank of India, looking after Finance, Strategy & Planning, Large Corporate & Mid Corporate Business, Corporate Debt Restructuring, Project Finance & Syndication, Credit Monitoring & Asset Recovery, Publicity & Public Relations portfolios of the bank. iii. Earlier, Shrivastava was overseeing the foreign subsidiaries – BoI Indonesia and Botswana and joint venture – India Zambia Bank. iv. He is a Certified Associate of Indian Institute of Bankers and AIBM. He started his career as direct recruit officer in Bank of Baroda in 1979.
i. 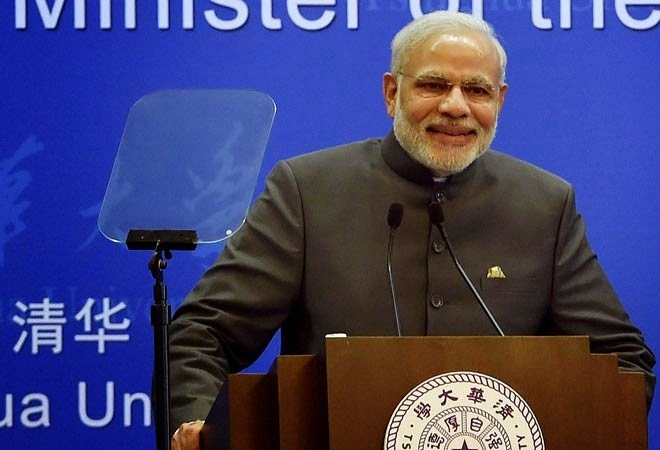 Top private sector lender ICICI Bank opened its first branch in China, which was inaugurated by Prime Minister Narendra Modi. ii. The new branch would begin with 17 banking professionals handling different functions including corporate banking, operations, finance and treasury. iii. Some public sector banks including SBI, UCO Bank, Canara Bank and Allahabad Bank have also expanded their presence in China in the recent years to tap growing trade flows between the two countries. i. Brushing aside objections, Prime Minister Narendra Modi announced granting of e-visa (electronic visa also called visa on arrival) facility to the Chinese nationals in Beijing even as he urged China to "reconsider its approach" to issues that have long strained ties and complicated business between the two Asian giants. ii. Pledging to improve historically weak economic links between their countries, India and China also signed 24 deals worth over $10 billion, including MOUs in the area of skill development, railways, establishing sister relations between cities of the two countries among others. iii. Modi's announcement on e-visas took everyone by surprise as only a couple of hours before had India's foreign secretary S Jaishankar said categorically, "We are expanding it (e-visa) bit by bit. With regard to China, no decision has been taken yet on extending e-visa." i. 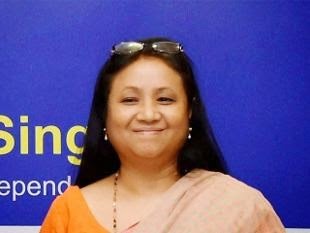 Senior Indian Administrative Service (IAS) officer Shakuntala Gamlin on Saturday took charge as acting Chief Secretary of Delhi Government despite being asked by the Chief Minister not to do so. ii. A senior Delhi government official said that in his letter to Gamlin, Delhi Chief Minister Arvind Kejriwal had said that her appointment is against the set rule. iii. Lt Governor Najeeb Jung gave the additional charge of Chief Secretary to Gamlin, a 1984-batch IAS officer, hours after she wrote a scathing letter to Jung claiming that she was pressurised by a senior bureaucrat in Chief Minister's office not to be in race for the post due to her alleged proximity to BSES discoms. i. Gagan Narang won the bronze medal in the 50m Rifle Prone Event of the ISSF World Cup at Fort Benning in USA, earning himself a quota place for the 2016 Rio Olympics. ii. Narang, who won the bronze in 10m Rifle at the London Olympics, shot 185.8 overall to secure third place behind gold medalist Michael McPhail (208.8 points) of USA and Ole Kristian Bryhn (206.3) of Norway. iii. The other quota place from the event went to McPhail. iv. 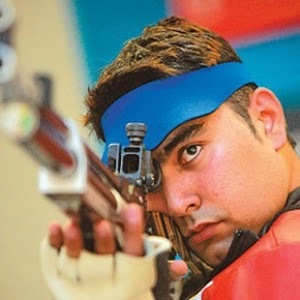 Earlier in the competition, Narang and India's only individual Olympic gold medallist Abhinav Bindra, had failed to qualify for the 10m Rifle final. v. Narang is third Indian shooter to make the Rio cut after Jitu Rai and Apurvi Chandela.